Here’s a quick make for you this week and it’s so simple too. 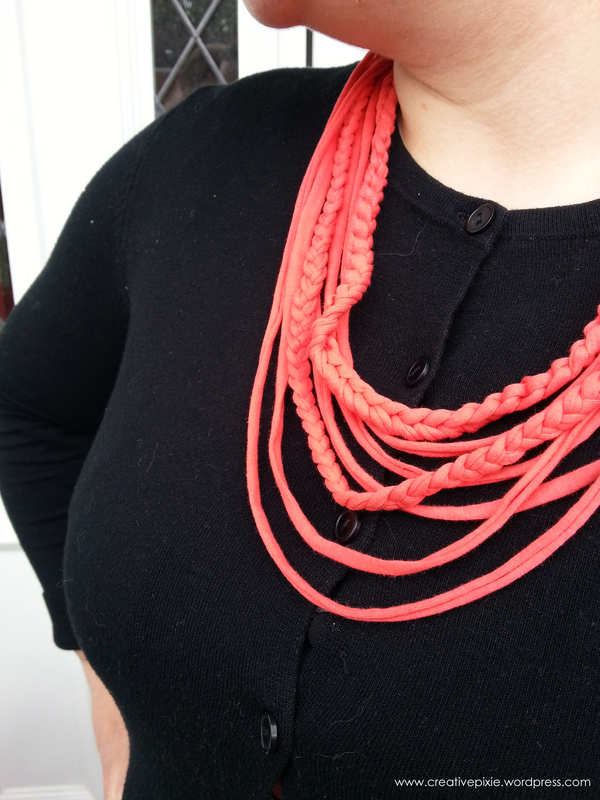 Using recycled t-shirt yarn you can make a necklace, all you need are scissors, needle and thread and a crochet hook (though this is optional). 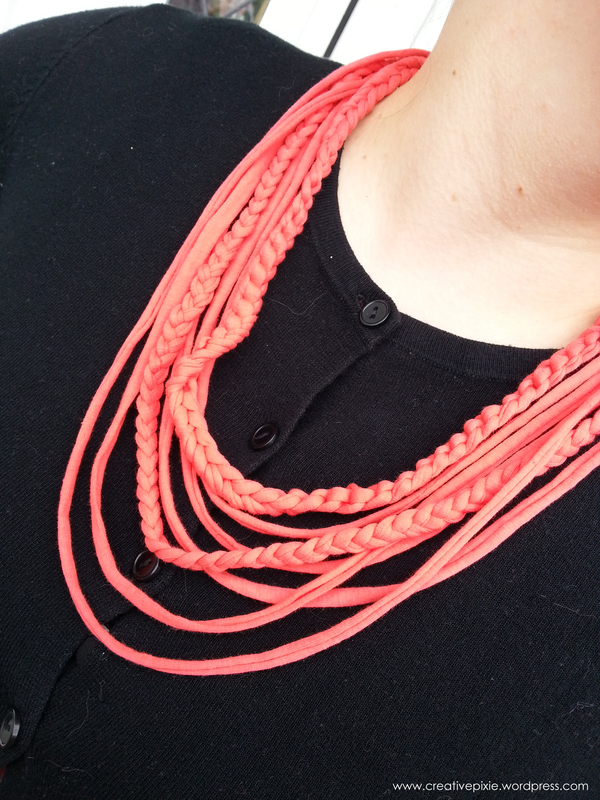 There are no fastenings you just pull the finished necklace over your head. 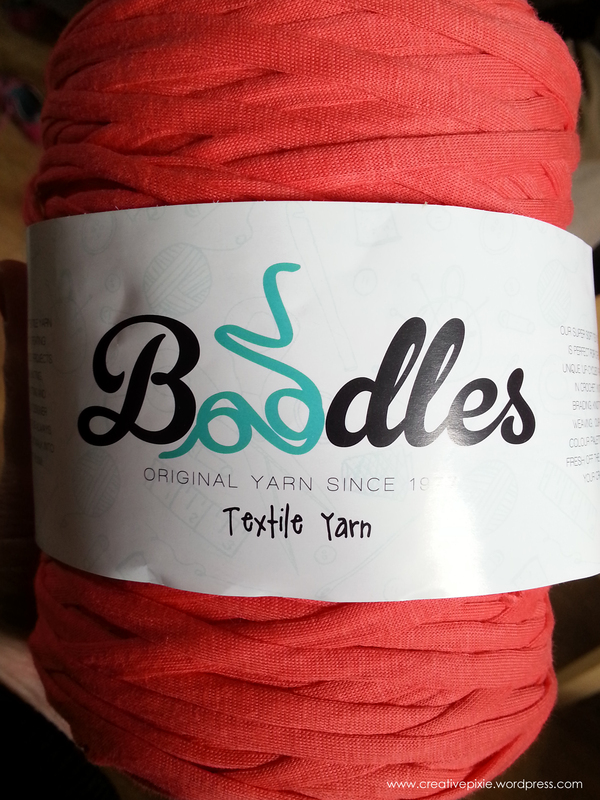 I got this coral coloured yarn a couple of months ago when I visited Hobbycraft in Gloucester (love that shop). Just cut 3 of the same lengths of yarn and plait them together, you can also crochet a separate length of it if you wish – it achieves a similar look but quicker. 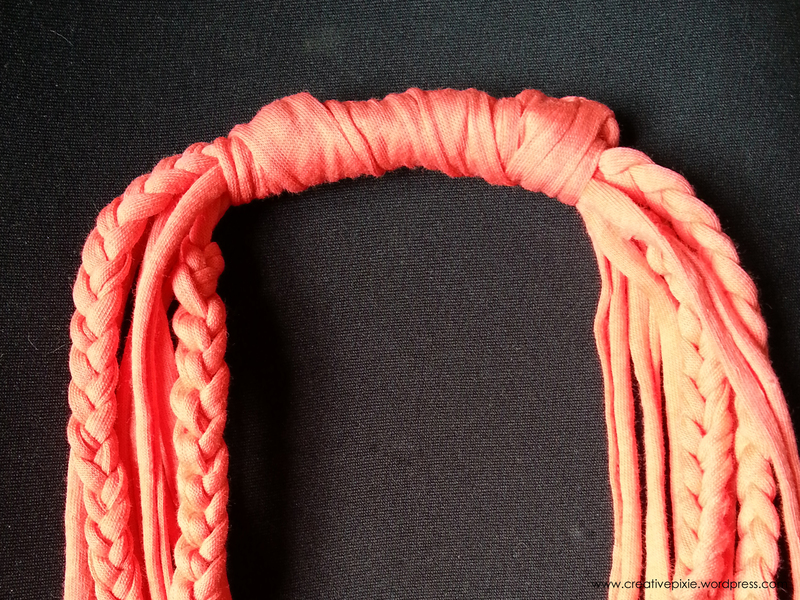 Cut several more pieces of yarn, this time make sure they’re all different lengths and long enough so that they go over your head when the ends are joined together (this provides the drape of the necklace). Gather together all the pieces of yarn together and sew together at one end. Repeat for the other end. Then sew both of the ends together then wrap around with some more yarn and sew to hold it into position. A quick make for a rainy afternoon. What a lovely, unique necklace! 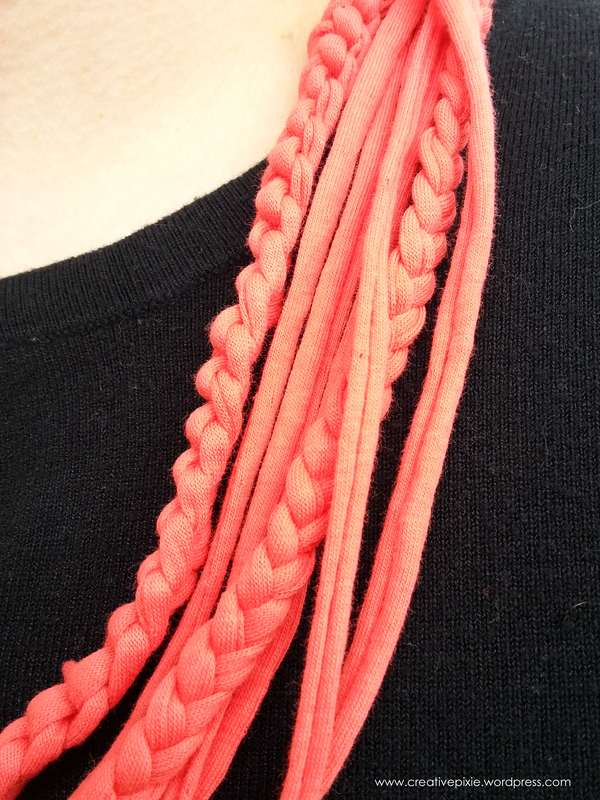 I’ve an idea for another one with large beads knotted onto it, I just have to find suitable beads. Oooh that sounds gorgeous too! You are a very creative little pixie!